Saturday 9th May 2015. 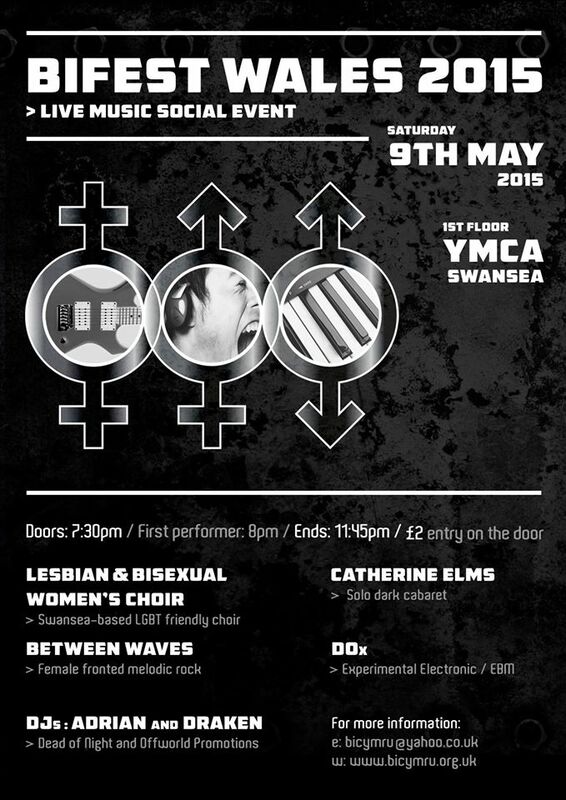 Daytime 12 noon to 6pm; evening live alternative music and DJs 7:30pm to 11:45pm at YMCA Swansea. Under 16s must be accompanied by an adult for the daytime. Under 18s must be accompanied by an adult for the evening. A one-day bi themed event for bisexual people, friends, partners, allies and anyone bi supportive. Daytime – workshops on a range of bi and related issues; fun and games, craft and getting to know you sessions; social space; craft area; and community information.